The day Rob was born, his parents noticed a difference in him. His movements seem floppy, he almost would not move at all. His eyes are really puffy, and he has yellowish skin and eyes. Fortunately, Rob was seen by a pediatrician-endocrinologist before they were discharged, and he was diagnosed with congenital hypothyroidism. With the early diagnosis and treatment, Rob, now 7 years old, is living a life free from the sufferings he would have been subject to, if not for a prompt intervention. 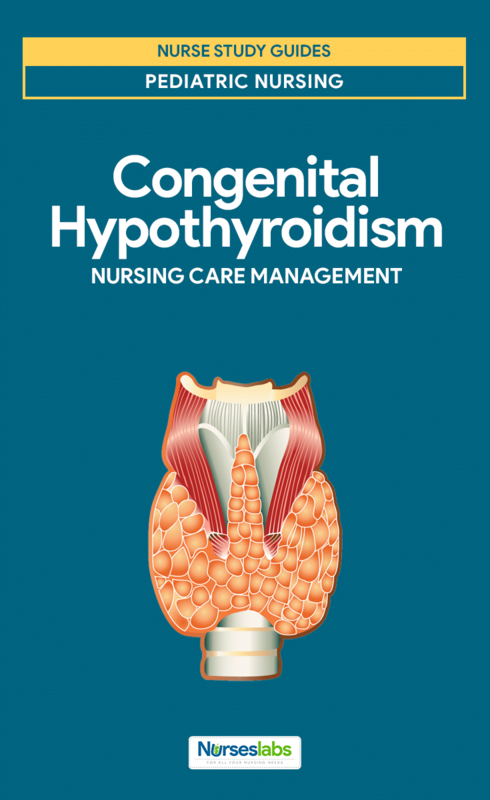 At one time referred to by now unacceptable term “cretinism“, congenital hypothyroidism is associated with either the congenital absence of a thyroid gland or the inability of the thyroid gland to secrete thyroid hormone. It can occur because of an anatomic defect in the gland, an inborn error of thyroid metabolism, or iodine deficiency. Lower TSH screening cutoffs may also be driving this increase in diagnosis, although altered ethnicities of the screened population, increased multiple and premature births, and iodine status are contributing factors. 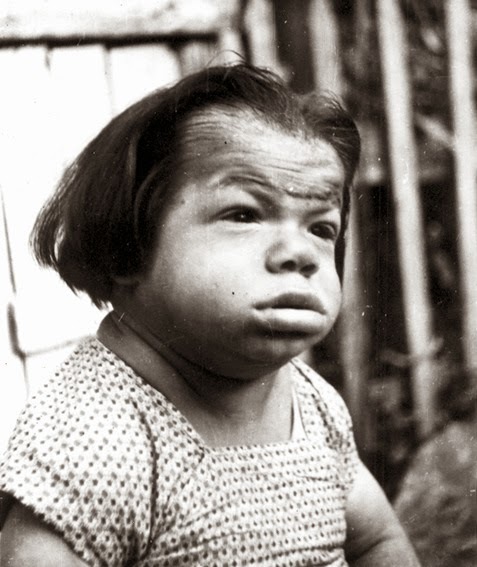 In the 1920s, adequate dietary intake of iodine was found to prevent endemic goiter and cretinism. The term sporadic cretinism was initially used to describe the random occurrence of cretinism in nonendemic areas; the cause of these abnormalities was identified as nonfunctioning or absent thyroid glands. 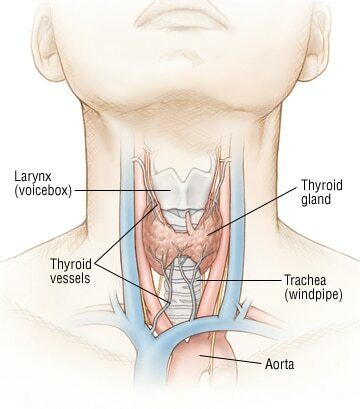 The thyroid gland develops from the buccopharyngeal cavity between 4 and 10 weeks’ gestation. The thyroid arises from the fourth branchial pouches and ultimately ends up as a bilobed organ in the neck. By 10-11 weeks’ gestation, the fetal thyroid is capable of producing thyroid hormone; by 18-20 weeks’ gestation, blood levels of T4 have reached term levels. The thyroid gland uses tyrosine and iodine to manufacture T4 and triiodothyronine (T3). Inborn errors of thyroid metabolism can result in congenital hypothyroidism in children with anatomically normal thyroid glands. T4 is the primary thyronine produced by the thyroid gland; only 10-40% of circulating T3 is released from the thyroid gland. T3 is the primary mediator of the biologic effects of thyroid hormone and does so by interacting with a specific nuclear receptor; receptor abnormalities can result in thyroid hormone resistance. The major carrier proteins for circulating thyroid hormones are thyroid-binding globulin (TBG), thyroid-binding prealbumin (TBPA), and albumin. Infants born with low levels of TBG, as in congenital TBG deficiency, have low total T4 levels but are physiologically normal; familial congenital TBG deficiency can occur as an X-linked recessive or autosomal recessive condition. The most critical period for the effect of thyroid hormone on brain development is the first few months of life. 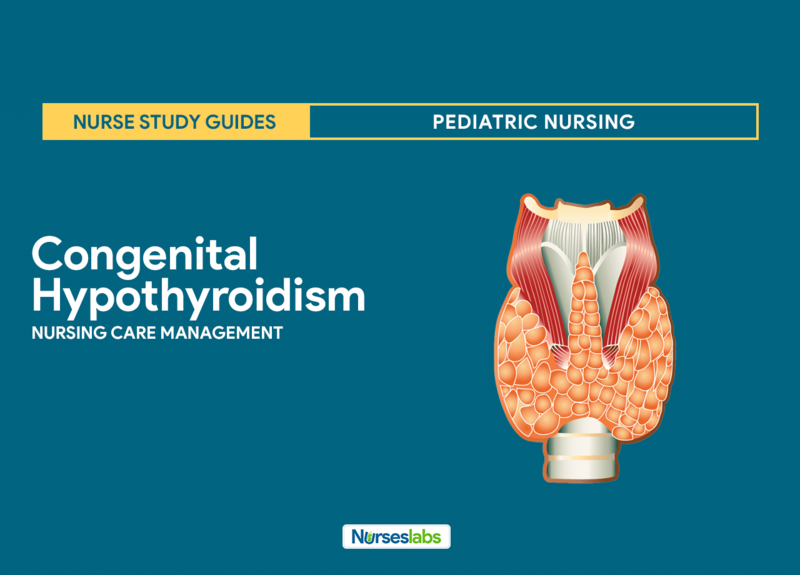 CH is the most common neonatal endocrine disorder, and historically, thyroid dysgenesis was thought to account for approximately 80% of cases. A closeup photo showing myxedematous facies, macroglossia, and skin mottling. An increased incidence of congenital hypothyroidism is observed in twins; twin births are approximately 12 times as likely to have congenital hypothyroidism as singletons. Usually, only one twin is hypothyroid, but a common in-utero exposure can cause hypothyroidism in both. Most studies of congenital hypothyroidism suggest a female-to-male ratio of a 2:1; Devos et al showed that much of the discrepancy is accounted for by infants with thyroid ectopy. In central Africa, where iodine deficiency occurs along with excess dietary cyanate from cassava (Manihot esculenta), as many as 10% of newborns may have both low cord blood T4 concentration and TSH concentrations over 100 mU/L. The physical findings of hypothyroidism may or may not be present at birth. 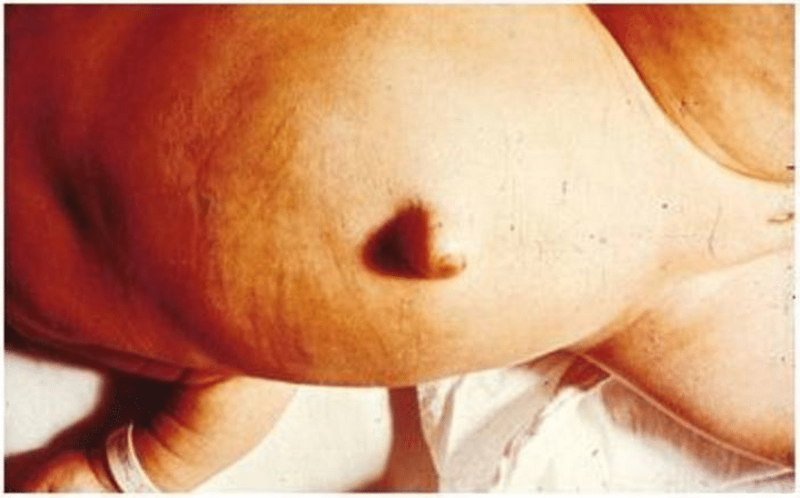 A photo showing abdominal distension and umbilical hernia. Decreased activity. Often, affected infants are described as “good babies” because they rarely cry and they sleep most of the time. Large anterior fontanelle. A large anterior fontanelle is mostly found in infants with CH, with delayed closure. Poor feeding and weight gain. A child with CH mostly sleeps and rarely feeds, resulting in poor weight gain. Small stature or poor growth. There is a delay in the development of children with CH, with poor growth as one of the findings. Jaundice. The yellow coloration of the skin and sclera in newborns with jaundice is the result of accumulation of unconjugated bilirubin. Diagnosis of primary hypothyroidism is confirmed by demonstrating decreased levels of serum thyroid hormone (total or free T4) and elevated levels of thyroid-stimulating hormone (TSH). 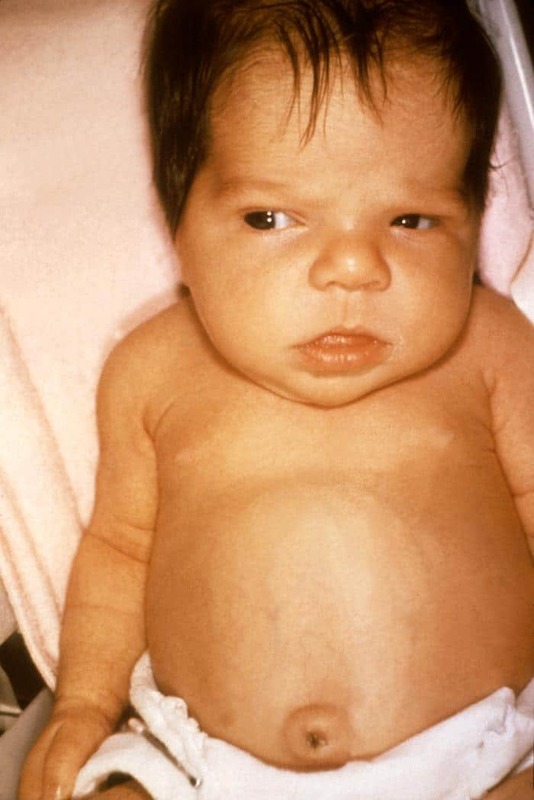 A 3-month-old infant with untreated Congenital Hypothyroidism. 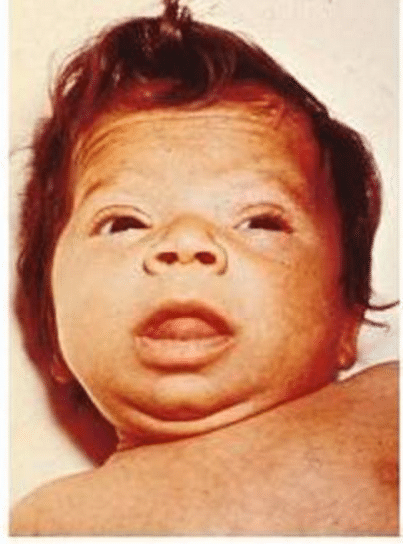 The infant displays hypotonic posture, myxedematous facies, macroglossia, and umbilical hernia. Newborn screening. Screening for congenital hypothyroidism is recommended when a baby is 3 days old; testing should be performed before discharge or within 7 days of birth; false-positive TSH elevations may be found in specimens collected at 24-48 hours after birth, and false-negative results may be found in critically ill newborns or post-transfusion infants. T4 levels. Low or low-normal serum total T4 levels in the setting of a serum TSH within the reference range suggests TBG deficiency; this congenital disorder causes no pathologic consequence; however, it should be recognized to avoid unnecessary thyroid hormone administration. Ultrasonography and scintigraphy. Ultrasound and thyroid scintigraphy help determine the anatomy and function of the thyroid gland as well as the etiology of congential hypothyroidism; ultrasound lacks sensitivity for detecting small ectopic glands but is the gold standard for measuring thyroid dimensions; scintigraphy (using technetium-99m or iodine-123) provides an etiologic diagnosis in most cases and can aid in distinguishing congenital hypothyroidism from transient hyperthyrotropinemia. Radiography. A lateral radiograph of the knee may be obtained to look for the distal femoral epiphysis; this ossification center appears at about 36 weeks’ gestation; its absence in a term or postterm infant indicates prenatal effects of hypothyroidism. The thyroid hormone must be replaced as soon as the diagnosis is made. The goal of treatment in congenital hypothyroidism is to correct hypothyroidism and ensure normal growth and neuropsychological development. Levothyroxine. Only levothyroxine is recommended for treatment; it has been established as safe, effective, inexpensive, easily administered, and easily monitored. Diet. Dietary iodide supplementation in iodine-deficient areas can prevent endemic cretinism but does not have a major effect on sporadic congenital hypothyroidism; soy-based formulas may decrease the absorption of levothyroxine; this is not a contraindication to their use, even in infants with congenital hypothyroidism; switching an infant from a milk-based formula to a soy-based formula may increase the dose of thyroid hormone needed to maintain a euthyroid status. The drug of choice for CH is only Levothyroxine. Thyroid hormones. These agents are administered to supplement thyroid hormone in patients with hypothyroidism. Levothyroxine is the preferred form of thyroid hormone replacement in all patients with hypothyroidism. History. Family history should be carefully reviewed for information about similarly affected infants or family members with unexplained mental retardation; maternal history of a thyroid disorder and mode of treatment, whether before or during pregnancy, can occasionally provide the etiology of the infant’s problem. Physical exam. 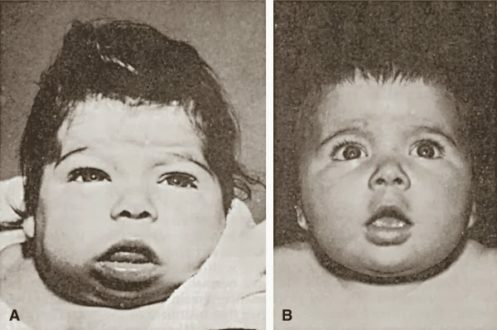 Physical exam may show signs of coarse facial features, macroglossia, large fontanelles, umbilical hernia, developmental delay, pallor, myxedema, and goiter. Imbalanced nutrition: more than body requirements related to greater intake than metabolic needs as evidenced by hypotonia or decreased activity level. Deficient knowledge related to lack of exposure to hypothyroidism and unfamiliarity with information sources. Fatigue related to impaired metabolic state. Client will maintain a stable weight and takes in necessary nutrients. Family members/caregivers will verbalize correct information about hypothyroidism and taking thyroid hormone replacement. Family members/caregivers will identify basis of fatigue and individual areas of control. Family members/caregivers will verbalize reduction of fatigue and increased ability to complete desired activities. Maintain a stable weight. Educate the client and family regarding body weight changes in hypothyroidism; collaborate with a dietician to determine client’s caloric needs; encourage the intake of foods rich in fiber; encourage a low-cholesterol, low-calorie, low-saturated-fat diet. Learn more about the disease. Provide information about hypothyroidism; educate the client and family regarding thyroid hormones; emphasize the importance of rest periods. Reduce fatigue. Note daily energy patterns; plan care to allow individually adequate rest periods; schedule activities for periods when the client has the most energy; promote an environment conducive to relieve fatigue. Client maintained a stable weight and takes in necessary nutrients. Family members/caregivers verbalized correct information about hypothyroidism and taking thyroid hormone replacement. Family members/caregivers identified basis of fatigue and individual areas of control. Family members/caregivers verbalized reduction of fatigue and increased ability to complete desired activities. Option D: The medication will be needed throughout the child’s lifetime. Options A, C, D: Answers A, C, and D contain inaccurate statements; therefore, they are incorrect. Ruby is receiving thyroid replacement therapy develops the flu and forgets to take her thyroid replacement medicine. The nurse understands that skipping this medication will put the client at risk for developing which of the following life-threatening complications? Option C: Myxedema coma, severe hypothyroidism, is a life-threatening condition that may develop if thyroid replacement medication isn’t taken. Option A: Exophthalmos, protrusion of the eyeballs, is seen with hyperthyroidism. Option B: Thyroid storm is life-threatening but is caused by severe hyperthyroidism. Option D: Tibial myxedema, peripheral mucinous edema involving the lower leg, is associated with hypothyroidism but isn’t life-threatening. The physician orders laboratory tests to confirm congenital hyperthyroidism in a female client with classic signs and symptoms of this disorder. Which test result would confirm the diagnosis? No increase in the thyroid-stimulating hormone (TSH) level after 30 minutes during the TSH stimulation test. An increase in the TSH level after 30 minutes during the TSH stimulation test. Below-normal levels of serum triiodothyronine (T3) and serum thyroxine (T4) as detected by radioimmunoassay. Option A: In the TSH test, failure of the TSH level to rise after 30 minutes confirms hyperthyroidism. Option B: A decreased TSH level indicates a pituitary deficiency of this hormone. Option D: Below-normal levels of T3 and T4, as detected by radioimmunoassay, signal hypothyroidism. A below-normal T4 level also occurs in malnutrition and liver disease and may result from administration of phenytoin and certain other drugs. Administration of thyroid hormone will prevent problems. This rare problem is always hereditary. Physical growth/development will be delayed. Option B: Early identification and continued treatment with hormone replacement correct this condition. Option A: With early treatment, mental retardation could be prevented. Option C: Congenital hypothyroidism is not hereditary. Option D: There could be a delay in physical growth and development with late diagnosis. A nurse is giving discharge instructions to the caregivers of a patient who is taking levothyroxine (Synthroid). The nurse instruct the client to notify the physician if which of the following occurs? Option B: Excessive doses of levothyroxine can produce signs and symptoms of hyperthyroidism which includes heat tolerance, tremors, nervousness, tachycardia, chest pain, hyperthermia, and insomnia. Options A, C, D: Options A, C, and D are signs of hypothyroidism. B. The medication is given one time daily every other day. D. The medication will be needed throughout the child’s lifetime. 1. Answer: D. The medication will be needed throughout the child’s lifetime. Option D: The medication will be needed throughout the child’s lifetime. Options A, C, D: Answers A, C, and D contain inaccurate statements; therefore, they are incorrect. 2. Ruby is receiving thyroid replacement therapy develops the flu and forgets to take her thyroid replacement medicine. The nurse understands that skipping this medication will put the client at risk for developing which of the following life-threatening complications? 2. Answer: C. Myxedema coma. Option C: Myxedema coma, severe hypothyroidism, is a life-threatening condition that may develop if thyroid replacement medication isn’t taken. Option A: Exophthalmos, protrusion of the eyeballs, is seen with hyperthyroidism. Option B: Thyroid storm is life-threatening but is caused by severe hyperthyroidism. Option D: Tibial myxedema, peripheral mucinous edema involving the lower leg, is associated with hypothyroidism but isn’t life-threatening. 3. The physician orders laboratory tests to confirm congenital hyperthyroidism in a female client with classic signs and symptoms of this disorder. Which test result would confirm the diagnosis? A. No increase in the thyroid-stimulating hormone (TSH) level after 30 minutes during the TSH stimulation test. B. A decreased TSH level. C. An increase in the TSH level after 30 minutes during the TSH stimulation test. D. Below-normal levels of serum triiodothyronine (T3) and serum thyroxine (T4) as detected by radioimmunoassay. 3. Answer: A. No increase in the thyroid-stimulating hormone (TSH) level after 30 minutes during the TSH stimulation test. Option A: In the TSH test, failure of the TSH level to rise after 30 minutes confirms hyperthyroidism. Option B: A decreased TSH level indicates a pituitary deficiency of this hormone. Option D: Below-normal levels of T3 and T4, as detected by radioimmunoassay, signal hypothyroidism. A below-normal T4 level also occurs in malnutrition and liver disease and may result from administration of phenytoin and certain other drugs. A. They can expect the child will be mentally retarded. B. Administration of thyroid hormone will prevent problems. C. This rare problem is always hereditary. D. Physical growth/development will be delayed. 4. Answer: B. Administration of thyroid hormone will prevent problems. Option B: Early identification and continued treatment with hormone replacement correct this condition. Option A: With early treatment, mental retardation could be prevented. Option C: Congenital hypothyroidism is not hereditary. Option D: There could be a delay in physical growth and development with late diagnosis. 5. A nurse is giving discharge instructions to the caregivers of a patient who is taking levothyroxine (Synthroid). The nurse instruct the client to notify the physician if which of the following occurs? Option B: Excessive doses of levothyroxine can produce signs and symptoms of hyperthyroidism which includes heat tolerance, tremors, nervousness, tachycardia, chest pain, hyperthermia, and insomnia. Options A, C, D: Options A, C, and D are signs of hypothyroidism.